Our first Pysanky workshop was in March. It was very successful with every participant leaving with their beautifully finished egg, and the know-how to design and make more. Our expert presenter, Jennifer Santa Maria, will return on May 5 for more popular and rewarding egg designing. 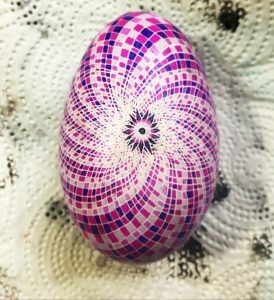 She is one of the few Pysanky instructors in the State of New Jersey and has held many workshops at art centers and museums along the US East Coast.